There are various helpful options that people can choose from when they need to get out of debt. The impact of solutions such as debt settlement on credit rating is not as severe as filing for bankruptcy. This is why is advisable for individuals to carefully consider their options when they are facing a debt problem. Debt settlement offers a cost effective way to resolve debt because you will not be expected to pay the whole amount of the principal that you owe. It can help you evade the adverse consequences of bankruptcy and asset liquidation. Debt settlement involves negotiating a reduced debt while you make payments every month to accumulate the amount that you will be paying off. During the period of negotiation it is important to make an effort to make all payments regularly to protect your credit score. Indebted consumers and creditors reach an agreement that entails submitting lump payments for most of the debt in exchange for the creditor forgoing part of the balance, fees and charges. The need to opt for debt settlement arises from a variety of reasons. Consumers spend more than that what they can afford and their balances end up going beyond their control as a result of unsustainable fees and charges. Credit cards, for example, enable people to access virtually everything they want without making an actual payment since paying facilitated after the purchase has been made. Settling debt is a way to avoid major debt challenges. It is a practical option for people who have defaulted on what they owe are likely to default because of financial difficulties. 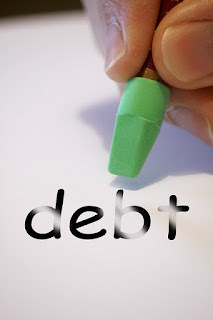 You can settle the amount on your own or seek help from a debt settlement specialist. Read debt settlement reviews here. Different kinds of debt can be settled, including store card and credit card debt as well as unpaid phone and medical bills. Regardless of the type of settlement approach you can take or the kind of debt you want to settle, the basics are similar. Debtors approach creditors with an offer to make a portion of the payment. This could be any percentage of the total amount that is owed. The debtor asks for the remainder of the amount to be forgone or forgiven. Creditors are at liberty to accept or reject the offer. They may also be willing to counter the debtor’s offer. When parties reach an agreement regarding the settlement amount, the person who owes the funds submits the required lump-sum amount or payment within the timeframe that has been specified. Submitting the payment officially fulfils the debtor’s obligation. Breaching the agreement may increase the possibility of being sued for the entire amount owed. It is essential for anyone considering debt settlement to make sure that they enter this type of program when they have the resources they need to pay off their debt. Debt settlement can help you save significant sums of money and avoid the risk of legal action being taken by the creditor. It is a good decision that will enable you to pay what you can while eliminating the threat of lawsuits.